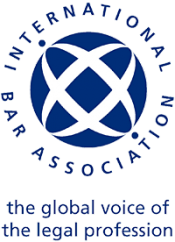 Steven Kay QC and Jonathan Grimes as the Co Chairs organised the first WCC session of the IBA (International Bar Association) conference, in a BBC Question Time format, called Protecting The Innocents: Time to bare the teeth of UN Resolutions 1325 (2000) et al. The panel consisted of ICC Judge Howard Morrison QC OBE, Dr Gina Heathcote of SOAS, Norman Clark Co Chair of the IBA Poverty, Empowerment and Human Rights Working Group and Jens Dieckmann ICC counsel for victims in the Banda case. The session discussed that Resolution 1325 started for the 21st century a concerted campaign by the UN to protect women and children in warfare and conflicts as the international community recognized that in the 20th century far greater harm and higher casualties occurred in conflicts to the innocents, the defenceless and the weak than to the combatants. This initiative arose out of the historic Women’s Conference in Bejing in 1995. Resolution 1325 was a measure designed to change that culture in order to protect women and girls from gender based sexual violencein armed conflicts. It’s aim has also been to increase the participation of women in all UN peace and security efforts as a policy to change the prevailing attitudes. The session noted that many states had action plans but failed to implement them effectively. The IBA Eyewitness project was welcomed and could help protect civilians in conflict situations by collecting much needed evidence that could bring perpetrators to justice. The session also discussed the role of international peace keepers and the need for higher standards to ensure that their position of trust was not abused. Many African delegates attending the conference expressed concerns that appropriate training and selection of such forces was inadequate for such tasks. The session saw panellists and audience engaged in lively debate with great insight and experience providing a highly appreciated contribution to the IBA Vienna 2015 programme.